The Disability Discrimination ActIt has been estimated that over 11 million people in the UK are covered by the provisions of the Act with a combined spending power of £50 billion per year. By complying with the Disability Discrimination Act you can meet your legal requirements and make your business accessible to this market. The Disability Discrimination Act (DDA) requires that service providers have to make ‘reasonable adjustments’ to their premises ensuring there are no physical barriers stopping or making it unreasonably difficult for disabled people to gain access or to use the services. Need to fit a ramp for access? Own a holiday home or a park? This Act applies to employers, service providers and those selling or letting land and property. It also applies to anyone providing a service to the public, whether you are a public or private operation no matter whether your services are paid for or free. With Southern Decks you can now offer access ramps in accordance with the disability laws and integrate them into your existing property, easily and quickly; they look fantastic when matching with our decking solutions. We also provide steps, gates and other solutions. Private & Commercial Fencing for Homes, Estates, Gardens, Driveways, Farms and Hotels. 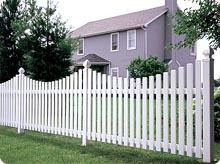 Add to the beauty of your property with any of our decorative styles of plastic fence. 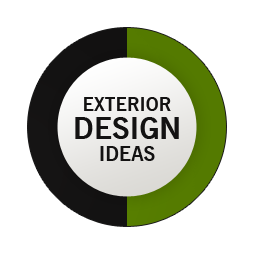 They're hardwearing and versatile and durable enough to meet any need, without requiring painting or staining. Ever! No matter what the size of your property we have a fencing solution for you. Perfect for farms, hotels, estates and clubs... and a whole range of private properties. A fence is a major investment and its important that you consider the credibility, stability and integrity of the manufacturer. Our Fence warranty is not only more inclusive, it is also backed by 25 years of experience. Enjoy your decking or veranda solution even more with our range of optional extras and accessories. Our Furniture is masterfully constructed from durable,100% vinyl and recycled materials, this unique system requires no staining, painting or sealing. Yet its extraordinary appearance endures for years, through harsh elements and heavy use. or individually for different social occasions and enhance your garden space. classically designed and will look fantastic in any garden. Single chairs also available. Ideal for the home garden as well as parks and public places. The Garden Planter is a versatile and attractive outdoor setting without the hassle of annual maintenance.